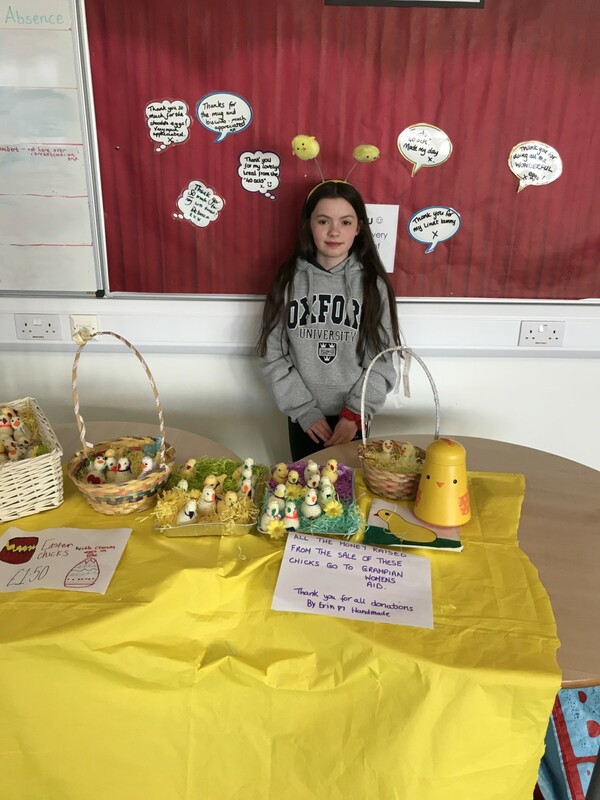 Erin is one of our P7 Charities Committee. Each year her and her amazing granny knit Easter chicks with eggs inside them. She sells them to the staff for Charity. This year she has made £150 from our Mile End Staffroom for Grampian Woman’s Aid. Well done Erin and granny!!! !